Will live tweet unelected #cpsboard in this thread. Pres Frank Clark just reminded us that courteous behavior is expected. 🙄Variety of school here and on the speaker's list. Seems to be a lot of thank you speakers. Debate Coach of the Year: Coach from #nhoodhs @SolorioHS part of #cpsboard Honoring Excellence portion of #cpsboard! Great speech here at the BOE from Aaron! Back in action this morning. For the first time, the House Committee on Natural Resources will hear #PFAS testimony. Remember - no action will be taken on legislation that has already been introduced. While this is happening, another very important hearing will be taking place as well. 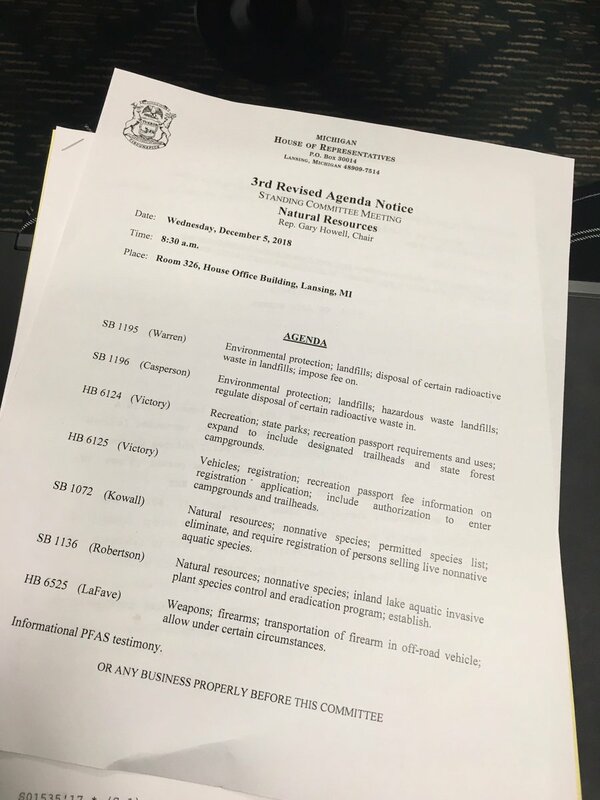 That bill, SB 1250, was introduced by GOP Sen. Dave Robertson of Grand Blanc. The new panel proposed would include three members from each major political party.